"...this is still a remarkable show in many ways - it is totally different from any revue you ever saw and, especially given this fine casting, it catches one of the great thinkers, activists and musicians of the 20th century as she surely was feeling in that given moment in time." "...A combination aria and tirade, Charles's rendition of the cri de coeur conveys the torment and pain Simone endured as a black woman in America who -- along with three other women -- must honor not only their own legacy but also the unfilled promise of four girls from Birmingham." "...But Ham's play, though entertaining, disappoints. In lieu of writing of either a jukebox-style musical revue or a dramatic stage bio, Ham delivers up something in between, a 90-minute discussion of Simone's work and the civil rights movement, interrupted from time to time with songs from Simone's repertoire sung by the cast. These songs, under the musical direction of Daniel Riley, are well rendered, but also a reminder of how wonderful it would be to hear more of Simone." "...Fortunately, music directors/arrangers Daniel Riley and Darius Smith ( the former of whom doubles onstage in the role of piano-man Sam Waymon ) have assembled a quartet of vocalists capable of stirring us to rapture, whether on a cappella chorale harmonies of hymns like "Eye on the Sparrow," revivalist rousers like "Sinner Man" or the centerpiece call-to-arms "Mississippi Goddam."" "...If you’re a serious theater buff, go directly to the Northlight schedule of performances for Christina Ham’s “Nina Simone: Four Women,” and find a night that works for you. This disarming play-with-song about the great jazz and blues singer’s conversion to black activist – but more than that, about black women in their skin – is simply not to be missed." "...Aunt Sarah, played with self-sustaining purpose by Deanna Reed-Foster, cleans the homes of white people, is “strong enough to take the pain” that was “inflicted again and again” and represents enslavement. Saffronia, a civil rights worker content to walk in the shadows of men, played with conviction by Ariel Richardson, whose “skin is yellow”, is of mixed race; her “father was rich and white” and “he forced my mother late one night.” Sweet Thing, as played by Melanie Brezill, is a prideful prostitute who asks, “Whose little girl am I? Anyone who has money to buy.” Peaches (Simone herself in the play), played with dignity and immense determination by Sydney Charles, is “awfully bitter these days” because her “parents were slaves”. Joined at the piano by Daniel Riley as Sam Waymon, they are most convincing when joining their splendid voices in riveting harmony, less so when declaiming at length about their intentions and history." 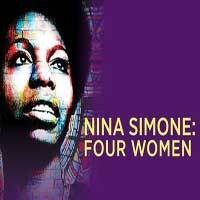 "...Nina Simone: Four Women is one of the best performances in 2019 and sets the bar for all plays. The women in this play are magnificent. Distraught or despair, they proudly showed the strength of the black woman and the power they possess to change humanity's view of their blackness." "...Most of America remembers Nina Simone as a jazz singer. Her music was amazing and her music was "genius". But many of us learned a great deal more about this woman in Christina Ham's "Nina Simone: Four Women", on stage now at Northlight Theatre. Sharply directed by Kenneth L. Roberson, "Nina Simone: Four Women" tells the tale of what took place after the bombing of the 16th Street Baptists Church in 1963. It is because of this horrific event that she became an activist in the Civil Rights Movement that had started." "...Forget the Lady Gaga remake: with Sydney Charles’ electrifying performance in the title role of “Nina Simone: Four Women,” a real star is born at Northlight Theatre. The script has as many kinks and quirks as Nina Simone’s brilliant, troubled, complicated personality. But the dozen or so songs in this play, as sung by Charles and three fellow actor-vocalists, soar above the plotless and inert framing story, bringing us face-to-face with Simone’s fiery genius as composer, singer and righteously indignant voice of the civil rights movement." "...Christina Ham’s play, “Nina Simone: Four Women,” now in a feverishly acted Northlight Theatre production directed by Kenneth L. Roberson, is the anatomy of a song. And by extension, it is the anatomy of the angry, emotionally wounded singer, songwriter, pianist and civil rights activist of the title who wrote it, and who is seen at a pivotal moment in her life. It also is a vivid reminder of a horrific, galvanizing moment in the life of the civil rights movement itself." "...A Chicago treasure, Sydney Charles’ portrayal of Nina Simone is spot-on. She has the voice, the speech pattern, the appearance and the style of the great singer. Her raw emotion fills the stage, emoted in songs like “Old Jim Crow” and the titular, “Four Women,” that closes the show. Deanna Reed-Foster is tough, but lovably sweet as Sarah; Ariel Richardson brings a refined sophistication to her role of Sephronia; and the always wonderful Melanie Brazill rages against the light and makes us cared deeply, as Sweet Thing. Together these ladies gorgeously harmonize, painting a stunning, memorable portrait of the sorrow, anger and hope that African American women have felt, and still feel, through centuries of oppression." "...Powerful, important, and timely, Nina Simone: Four Women takes place at the turning point when singer and songwriter Nina Simone decides to leave behind singing other people’s popular music and take up the mantle of activist." "...Deanna Reed-Foster (Sarah), Ariel Richardson (Sephronia), Melanie Brezill (Sweet Thing) and Charles are the ‘Four Women’ of Simone’s profound elegy to the memory of the girls and who they might have become. As each identifies and struggles with African-American stereotypes, legacy and misunderstanding, Simone implores them as a group to rise up and “follow the rhythm of your heart.” Through their individual stories, and the rich, soulful and powerfully rendered musical performances, a deeper understanding emerges of heritage, common ground and the conflicts between the women and everyone around them."